Make money while doing what you love! If you've got a knack for scoring cheap tickets and creating travel itineraries, you can put your ~talent~ to good use by starting your own travel agency! It's a great way to get freebies, discounts, and other perks for your own trips. You'll just need the basics: government requirements, a working phone number, a stable internet connection, and basic marketing know-how. Working on a cruise ship, whether as a chef, an engineer, or a performer, is a great way to see some of the world's most exotic locations while earning a decent paycheck. And since your meals and lodging are provided for, you'll have more money to splurge on your personal trips! Got some writing chops? You can write about your adventures for established websites and publications (like Cosmo!). Better yet, you can put up your own travel blog and make bank by building a strong reader base and a healthy ads profile. Once your site's up and running, you can earn extra income by signing up as an online partner for the TravelBook.ph Friend Code Program. You'll get a referral fee for every booking made using your unique friend code link, which you can display on your blog. It takes a lot of discipline to maintain your own website, though, so make sure you're in it for the long haul. Being a flight attendant or a pilot isn't the easiest thing: You have to have perfect vision, meet the minimum height requirement, and be in top physical shape. But if you pass, you'll enjoy lots of perks, foremost of which is the opportunity to visit dozens of cities across the world for free. And since you can also get free or discounted flights for your loved ones, you can finally make your dream family vacation a reality! If you know all the best spots in your favorite destination to the point that you’ve already been mistaken for a local, why not try your hand at being a tour guide? Contrary to popular belief, you don’t need to have lived in a certain locale all your life before you can show people around its best sights. Knowledge of the place’s top attractions and hidden gems, a genuine understanding and appreciation of its culture and history, and an outgoing, ready-for-anything personality are all you’ll need. You can also earn on the side by signing up for the TravelBook.ph Friend Code Program and giving your clients your friend code, which they can use when booking their hotels. Even if you don't have these jobs, you can still earn money for your travel fund by signing up for the TravelBook.ph Friend Code program, which lets you earn cash through referrals! You just have to share your TravelBook.ph Friend Code to your fellow frequent travelers. If they sign up and make a successful hotel booking via TravelBook.ph, you'll instantly get a referral fee! But if you're the type of person who's into blogging, you can add your TravelBook.ph Friend Code link to your posts or home page, invite readers to book via your link, and you'll earn a referral fee of up to 65 percent of Travelbook.ph's commission from the hotel. It’s as simple as that—you can do this whether or not you're actually on the road. Being able to travel for a living is the ultimate #lifegoal, and it's not too late to make that dream your reality. Go out and score that job, girl! 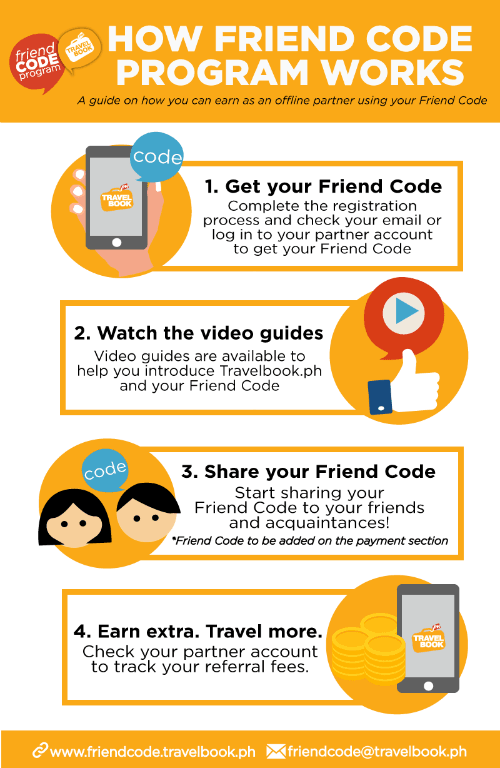 Register here to start earning and traveling with the TravelBook.ph Friend Code Program! 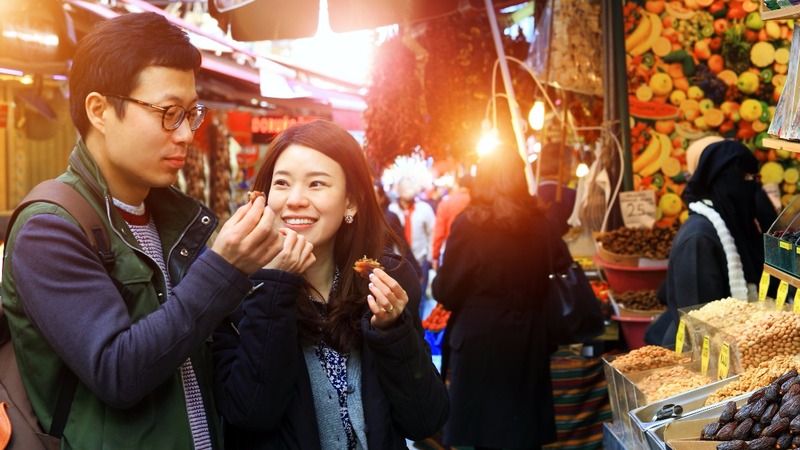 This article was created by Summit Storylabs in partnership with TravelBook.